Here is some important information regarding ENC conference 2018 and we are asking you to register now. Please read this email carefully. Conference will take place on 8th -11th November 2018 in Tatralandia, Liptovsky Mikulas, Slovakia. Please find map of the place here. For this year’s gathering we felt that we should take on another “pastoral” theme: The Father Heart of God. 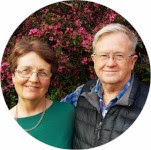 Robert and Vicky Hoxar (England) have hosted “Father Heart” conferences and spoken in various parts of the world for the past 20 years and we feel that they are particularly gifted to address this subject at our gathering. In addition to the plenary sessions, there will be opportunities for prayer ministery, Spirit-filled worship times, good food, and of course a lot of rich fellowship. We believe that this will be one of our best gatherings yet. 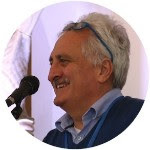 Mario Tomasik: When is the leader successful? Denisa Zlevska: Be burning, not burned out! We look forward to being with you at the ENC Gathering! The program starts with dinner on Thursday 8 November 2018 at approximately 18:00 and continues with welcoming and worship. The Gathering ends on Sunday 11 November 2018 after lunch at approximately 12:30. We kindly ask you to arrange your travel so that you can stay with us until the end. Thank you! We are looking forward to seeing you! Due to capacity reasons, this year we are not able to manage accommodation for everybody. You are expected to arrange for yourroom booking yourselves. Of course, we are providing suggested hotel/bungalow opportunites in vicinity of the conference hall in various price levels. The capacity of accommodation offering in particular price level is limited, therefore do not hesitate and book your room as soon as you choose the preferred price level. Of course, feel free to find and book other accommodations which might not be mentoined in our list. Fee for children under 6 years who need food the cost will be 20€. Children from 6 to 12 years old will need to pay 50€. Late application and/or late payment (after 24 October 2018). The Registration system will automatically add an extra 30€ into the final price. We are keeping costs low to allow as many people to come as possible. Please note however that for some participants from economically depressed parts of Europe will find even these low fees to be a great challenge. Therefore we invite those of you who would like to help these participants out to consider donating a small (or large) amount in addition to your conference fee. Cancellation 31 and more days prior to conference will receive 90% of their conference fee refunded to them. Participants cancelling 30 to 15 days prior to the will receive 25% of their conference fee refunded. There will unfortunately be no refund if someone cancels less than 15 days prior to conference. The conference fee is a fixed price and includes all meals (besides breakfasts) from Thursday night till Sunday lunch. There is no possibility of a discount if you will not eat a meal or arrive later / leave sooner. Directions to the centre will be sent to registrants 2 weeks before the conferencebegins.